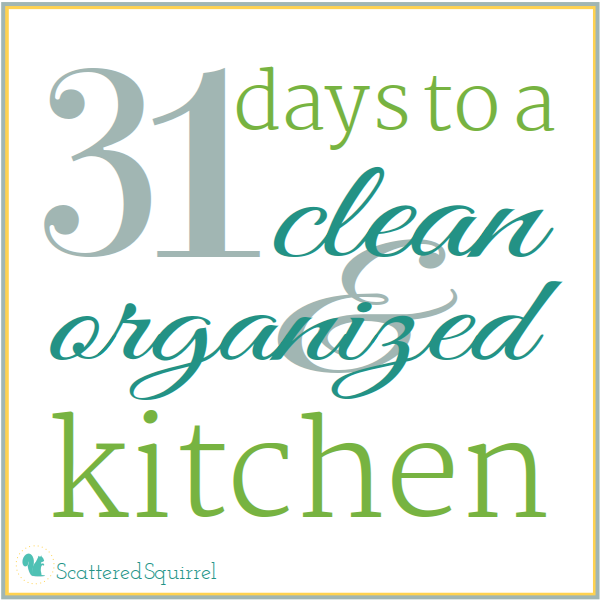 Welcome to Day 25 of the 31 Days to a Clean and Organized Kitchen series. If you are just joining us, you can find all the previous posts up on the 31 Days tab. So, I thought I was over the worst of that cold, but it either came back worse than before or I caught something new. At least the boys are not sick, I’d much rather I be the one with the colds than them. Today is just a quick and easy post. 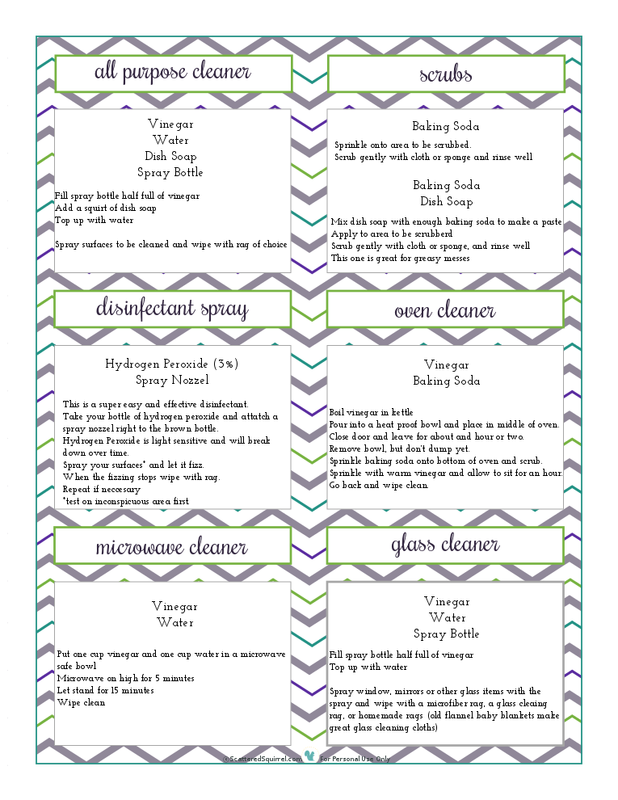 I whipped up a printable to put in the cleaning section of my Kitchen Binder. It’s just a list of the homemade kitchen cleaners that I use, what is in them, how to make them, and how I use them. I had most of these just written on a piece of lined paper, but I thought I would put them all into a printable and share them with anyone who would like them. As with all the printables, simply click on the picture to snag a copy for yourself. This post is the last of the cleaning section stuff. I’m hoping to get a few more posts finished up today so that I can get back on track. They might end up being two posts in one, I don’t know. I don’t want to flood your readers or in-boxes with a ton of posts. Later on today I’ll be sharing my meal planning section and another printable, I do hope you’ll come on back. For now though, I’m going to go grab a glass of water and lay down for a little bit. 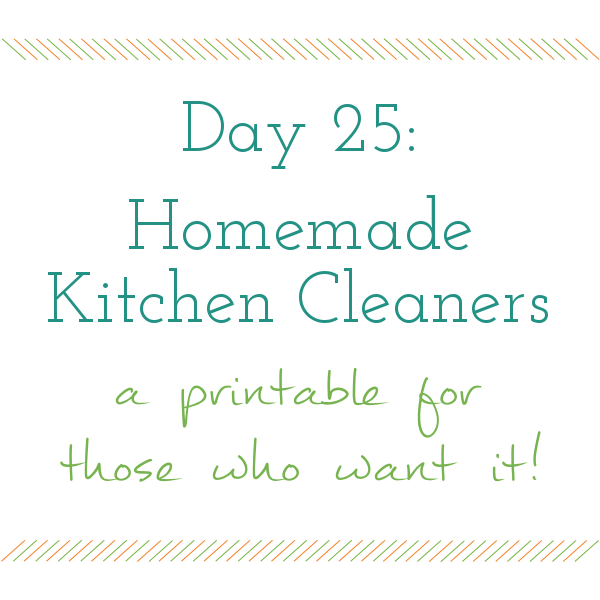 Do you use homemade kitchen cleaners? If not, what cleaners do you use? I love your printables the best of all the ones I have seen. I spent way too much time on Pinterest comparing everything last year while I was sick and I need to start using them now. Thank you for your wonderful website and free printables! I very much wish that I had these many years ago. They will help me to organize in ways that I have not come up with on my own! !